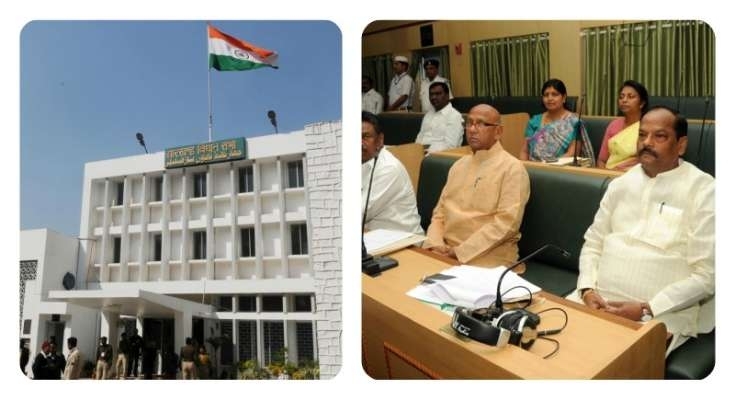 Ranchi, February 7: The Jharkhand Legislative Assembly today passed Jharkhand State Scheduled Tribes Commission 2019 Bill with an amendment proposal brought by MLAs Radha Krishna Kishore, Shivshankar Oraon, Ram Kumar Pahan, and Laxman Tuddu. In its earlier provision of the Bill, in chapter 2 of section 3, A, B, C appointment process of chairman, vice-chairman and three members of the commission have been defined. In the provision, it has been stated that any person having knowledge about history, tradition, custom and culture can be appointed as chairman, vice-chairman and three members of the commission. Kishore also stated that posts should be reserved for such tribal persons from birth follow the traditions, culture and customs of scheduled tribes. Chief Minister Raghubar Das, who was present in the house, gave his approval for the amendment. Das said, “The decision to constitute Jharkhand State Scheduled Tribes Commission was taken in the tribal advisory committee meeting.” With the approval of Chief Minister, the House unanimously passed the bill. CM Das, while participating at a public meeting in Dumka last year, had announced the plan to constitute tribal commission in the State. The Chief Minister had promised to pass a Bill in the budget session of the Assembly. The Commission, apart from having the chairman, vice-chairman, would also have members from each division of the State. The CM had said that the BJP government is always serious in working for emancipation and uplift of tribal people and it was during the tenure of Atal Bihari Vajpayee that the State’s tribal language Santhali was added in the list of languages in the 8th schedule of the Constitution. The Assembly apart from passing the tribal commission Bill also passed Jharkhand State Housing Board Amendment Bill 2019 and Jharkhand Mines Area Development Authority Amendment Bill 2019. State Urban Development and Housing Minister, CP Singh said, “After the formation of separate State, the housing board had the power to sanction housing projects worth Rs 2 crore. However, project higher than Rs 2 crore budgets needed approval from the concerned ministry. But with today’s amendment, the housing board will have the power to grant approval to the tune of Rs 10 crore.” Singh said apart from exceeding the financial power of the board, the amendment will open the doors for private players in housing board projects. The house also gave its approval to introduce Union Government’s Transplantation of Human Organs Acts and Rules. The Act aimed at regulation of removal, storage, and transplantation of human organs for therapeutic purposes and for the prevention of commercial dealings in human organs.